Honesty moment: I have two large drawers in my vanity solely dedicated to highlighters, and I can't fit one more into them. I tried the other day and failed miserably by almost breaking one of them. My obsession with these glow-up powders and liquid illuminators is real. I wear highlighter every day, and I don't discriminate during the week—you can catch me typing away at my desk on a Tuesday wearing the most heavy-duty highlighter you can probably spot from a mile away. When I'm going out on the weekends, I layer a few of them on top of each other because I'm extra like that and it makes my selfies so solid. I just love the glistening effect it has on the high points of my deep complexion. On the days I don't feel my best, I dust on my all-time favorite golden powder: MAC Mineralize Skinfinish in Gold Deposit ($34). I discovered this magical compact at the tender age of 16 (when I first fell in love with makeup) and have been using it ever since. It's a permanent fixture in my makeup routine that no other new highlighter could ever compete with—many other brown-skilled girls share the same love for this cult powder. At Byrdie we've said it before and will say it again, 2017 is the year of the highlighter. It seems like every day another new highlighter launches. 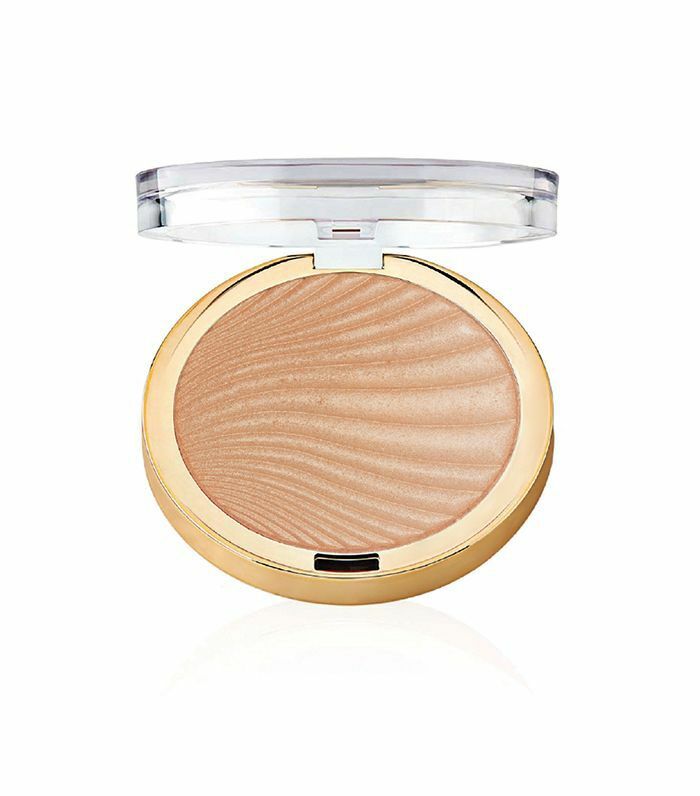 However, when I found out the Milani Strobelight Instant Glow Powder was trending, I had to get my hands on this $10 product to investigate what all the hype was about. Just because I have a lot of highlighters doesn't mean I like every highlighter on the market. I approach many of them with a skepticism due to the unsightly light streak many of them leave on my dark skin tone. Finding the right highlighter for dark skin tones is similar to scoping out the right foundation—it's tough. I decided to try out Milani's Strobelight Powder in Glowing, which is a bronze pearl shade. I used Fenty Beauty's Cheek-Hugging Highlight Brush ($32) to dust it on the high points of my cheekbones. I had to sweep the surface of the powder a few times so my brush could catch a decent amount of powder before applying it. After my cheekbones, I moved on to the bridge of my nose, both sides of my temple, and my cupid's bow. Immediate reaction: Damn, this glow. I layered a small amount of Sunglow on my cheekbones, which is the sand pearl shade. And let's just say I reached peak Instagram highlighter status. Milani says this highlighter is made with light-reflecting pearls, and I believe them. The way this glittery dust glowed on camera was unbelievable. I barely even had to find my light. If you want a bomb selfie, this iridescent, lit-from-within powder is for you. I will say, the Sunglow shade ended up being too light for me IRL. It looked gorgeous on camera, but in the mirror, its champagne hue was way too aggressive for my complexion. I'm a huge fan of the Glowing, though. Next, I'm trying it as eye shadow. A little secret of mine is to multipurpose highlighter as eye shadow. If I'm already wearing it as highlighter and I sweep it on my lids, it gives my face this monochromatic, uniform glow that I love. I'm eight hours in, and this powder is still sitting pretty on my skin—so it's definitely a long-wear formula. I highly recommend giving one of these $10 glow powders a try. If anything, it'll guarantee you a lit selfie. Does anything else really matter? Up next, find out how to apply highlighter like a makeup artist.